Are you faster than Theo Walcott? On Sunday, April 7 Everton fans will get the chance to prove it at Goodison Park! 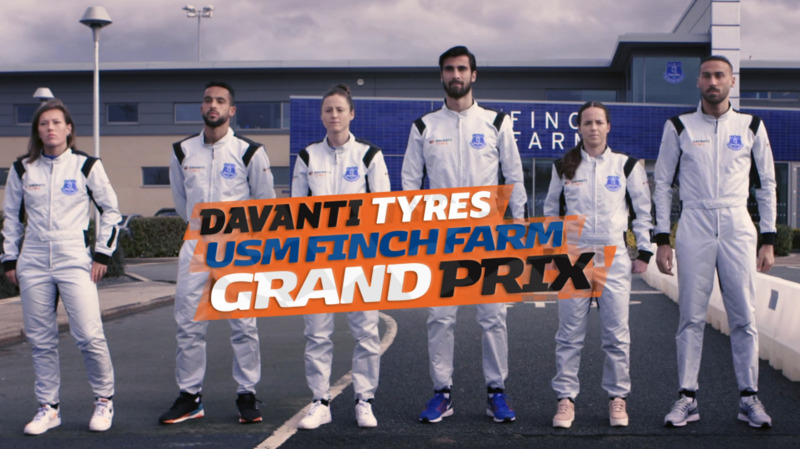 Davanti - Official Tyre Partner of Everton Football Club - recently set a challenge for six Blues players - first team stars Walcott, André Gomes and Cenk Tosun and Ladies aces Danielle Turner, Dominique Bruinenberg and Olivia Chance. In a 20 lap race they battled to set the fastest lap - see the video here. Now Davanti is bringing the track to Goodison Park to see if Everton fans can beat the fastest lap times! Whoever gets the fastest lap in the Fanzone on Sunday before the Arsenal game will win a race suit form the video shoot signed by all six players!